Joris Lemson completed his medical training in 1988. The following years he worked as a resident in general surgery before he started his training in anesthesiology and (adult and pediatric) intensive care medicine at the Radboud university medical center, Nijmegen, the Netherlands. Since 1999 he has been a consultant at this institution. Joris has extensive experience in adult and pediatric (cardiac) intensive care and anesthesia but has also been working at the helicopter emergency medical team. Since 2008 Joris has been working full time for the pediatric intensive care unit of which he became medical director in 2009. Joris Lemson has a specific interest in hemodynamics and hemodynamic monitoring in pediatric patients. 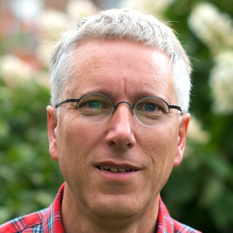 He is involved as participant and supervisor in many (multicenter) clinical and experimental animal studies in co-operation with the departments of adult intensive care medicine, neonatology, anesthesiology, cardiothoracic surgery and with the faculty of technical medicine of the technical university of Enschede (the Netherlands). Joris Lemson acquired his PhD in 2010 with his thesis titled: “Advanced hemodynamic monitoring in critically ill children”.